Air raid from the German aviation bombers to Moscow on July 26, 1941. Soviet Anti-aircraft gunners fired a German aircraft. 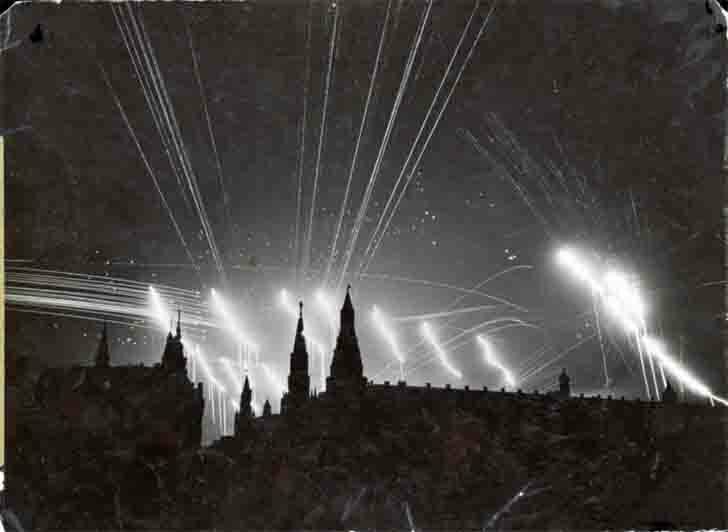 Bombers of the Luftwaffe, who take part in this air raid, using flares (seven bright trace in the sky) with parachutes for illumination of areas, the orientation and aiming for ground targets.